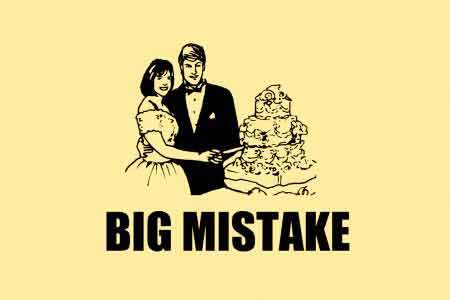 My Son Is About to Marry, and I Am Sure He Is Making a Big Mistake. My son has been dating a girl for the last five years. She is a different religion and there is a great difference in their culture (she is Hispanic and he is Jewish). She has broken up with him several times and even broken off their engagement once. She is always threatening to break up with him and although they are engaged again, she is always complaining that she is not happy. He just finished his radiology residency in Minnesota where they met and she said she would not move with him unless she was either engaged or married. They got engaged and she decided not to move anyway. He went to Michigan for a fellowship but she stayed back with family. He is miserable but makes excuses for her as to why she is not supportive of his situation. She is constantly complaining that she is lonely and unhappy and doesn't know how much longer she can take it. He is always feeling guilty and I think he even contemplated giving up his fellowship for her to remain in Minnesota. I am totally disgusted with her attitude. She is always threatening to go to Argentina and she decided to go there this November for three weeks supposedly to visit family. I can't believe that she wouldn't want to spend any vacation time with my son. My problem is this; How do I sanction this marriage? I dread going to the wedding. I don't think I can stand to see him walking down the isle. I know he will be making a very significant salary and I feel that is what is keeping her interested. I also feel that this is what is attracting her family as well. How do I get my son to realize that he is making a big mistake. Our relationship is already strained to the point where we basically can't talk about anything. He has been hurt so many times before but he won't give her up. To add to the problem, his twin brother just got engaged and will be having a wonderful wedding and all the things that my other son would want. At this point, her family is looking to my son to put together a wedding and pay for everything in her town and although I am an event planner in California, she refuses to do it here so I can help. I need an objective point of view. I would greatly appreciate any advise. Assuming that your account of this relationship is accurate, your son is about to make a big mistake, and I think you should pull out all the stops in trying to convince him that no matter how much he desires this woman, he should avoid marriage until she demonstrates more commitment to his path in life. Since your relationship is strained to the breaking point anyway, it seems to me that you have little to lose by simply speaking from the heart--a mother's heart--and letting the chips fall where they may. Nevertheless, in my experience, it is very unlikely that you will be able to sway him from his intended course. Indeed, depending on his level of maturity, further expressing your opposition could even strengthen his resolve to go forward with his plans. However, as I said, since he already is determined to marry her, there seems to be very little to lose, and much, from your point of view, to gain by making one last argument. Then, if he does decide to go through with the wedding, I advise you to drop your opposition entirely, to wish him well, and to attend the ceremony in the most supportive, generous, and open spirit you can conjure up. After all, at that point what is the alternative? And, although you seem quite certain about your opinion of this girl, you could be wrong. Perhaps they will be happy together regardless of what you now imagine. As a father (and grandfather) myself, I know very well the pain of watching a child pursuing a course that seems unfortunate, self-destructive, or worse. However, that kind of pain goes with the job description: "parent," and everyone who even cares enough about his or her children to be concerned about their welfare and happiness must learn to live with it. However young and inexperienced he may seem to you, your son is not a child, and you must now allow him to make his own way in life, which includes making his own mistakes (if this relationship really is a mistake). To sum up: my advice is to take one more shot at convincing him to postpone the marriage, and if that fails, to accept as gracefully as possible his decision.